This is a FREE PDF downloadable pattern. Please note: This is a file download in pdf format. No products will be shipped to you. Add to cart, and when you check out there will be a link in the next screen, or it will be emailed to you. This free download is for INDIVIDUAL USE ONLY. The pattern may not be sold. It's simply for our customers to use and enjoy... for FREE! We do allow quilt shops to make kits available for purchase, and include the free pattern in the kits. I made these as gifts last year and had them all in a wooden basket underneath my tree. It all made such a pretty picture, I hardly wanted to give them away. But, that isn't the purpose, is it? 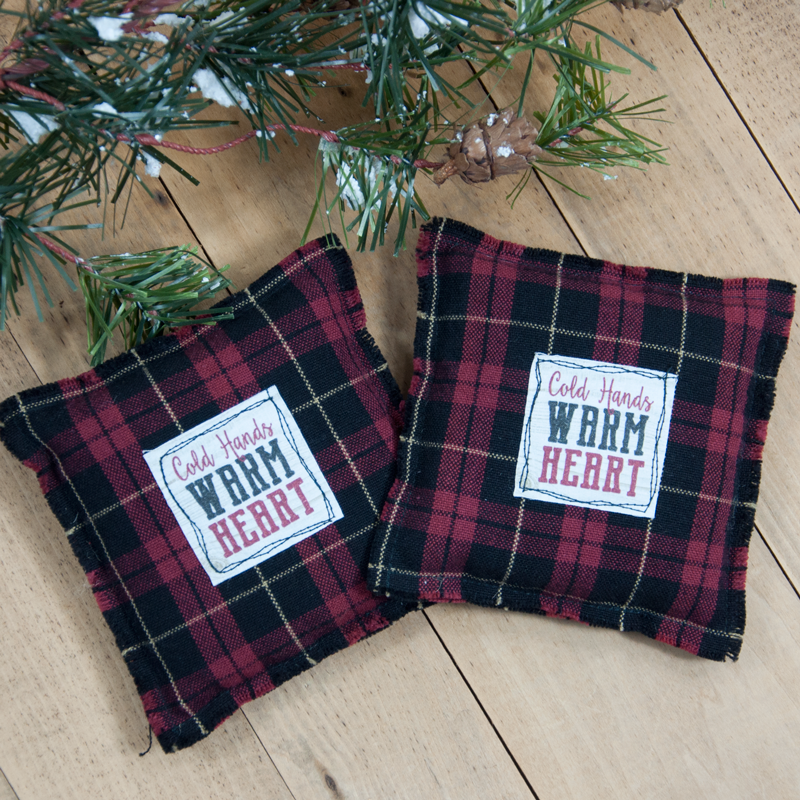 These are great little warmers to put in your pocket as you're heading out the door and into a cold winter day, and the perfect little gift for the Christmas season. They are SO quick and easy, you can easily make many of them for gifting. 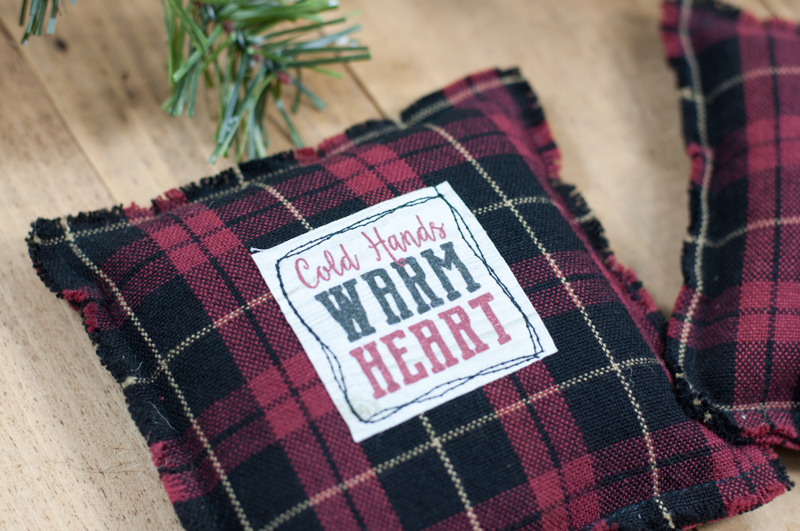 I made mine from tea towels (you can get approximately 3 sets of hand warmers from one towel), but you can use just about any fabric you prefer. 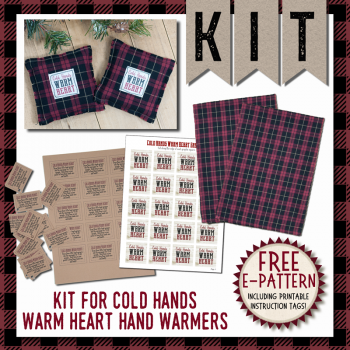 The pattern includes instructions for making the hand warmers, as well as the printable page for the "Cold Hands Warm Heart" squares that are printed to a printable fabric sheet. (Blank printable fabric sheets, by Electric Quilt, are available in packs of 6 sheets, or packs of 25 sheets.) 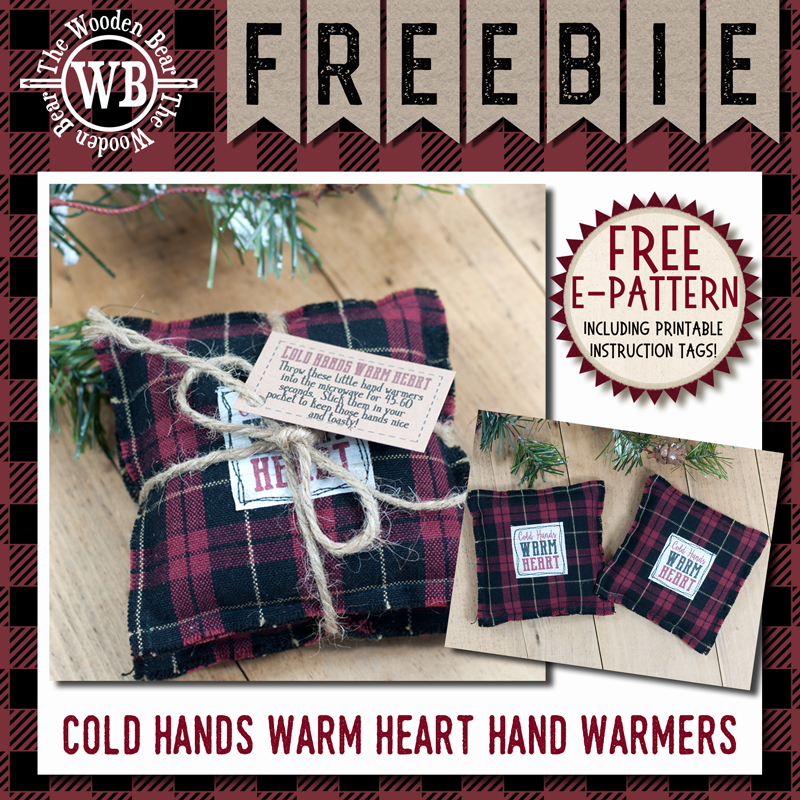 It also includes a page that you can print to any color card stock paper for the instruction tags to attach to each set of hand warmers. 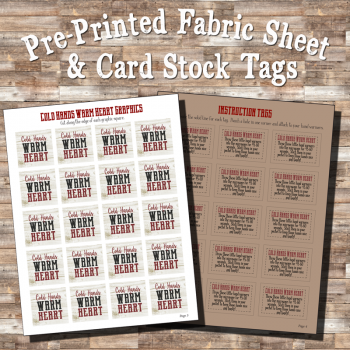 If you prefer, we also have SINGLE PRE-PRINTED FABRIC SHEETS, or KITS that include the towels, the PRE-printed fabric sheet, and the PRE-printed tag instruction sheet. 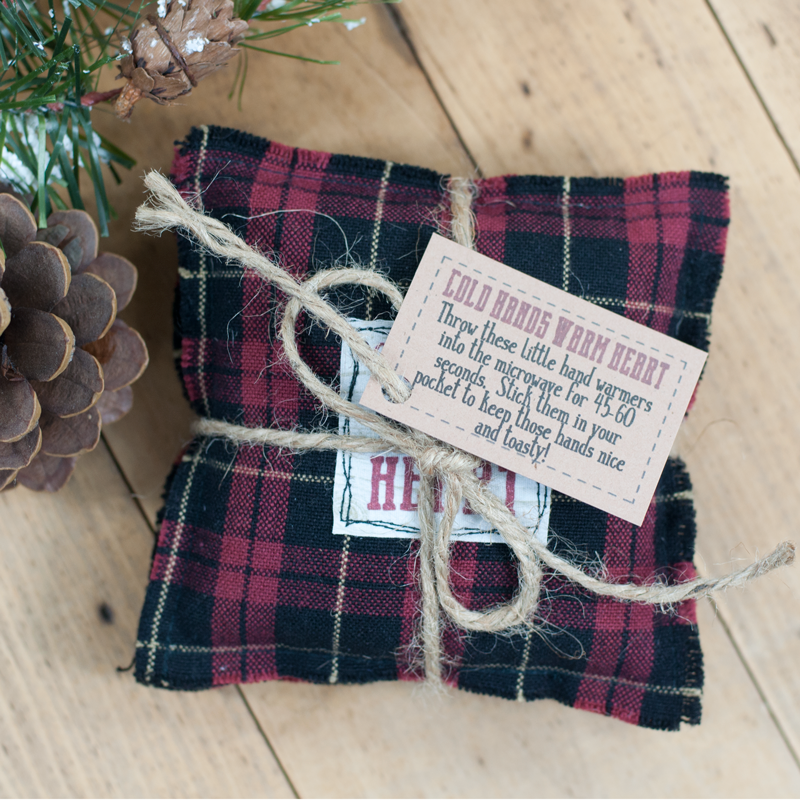 All you need to add is the microwavable filler, like whole flax seeds or rice, a little jute or ribbon for tying the handwarmer sets together, and you're ready to sew some quick gifts! Click on one of the pictures below for more information.